Now that I’m seeing nighttime temperatures pretty reliably in the 40’s, I’ve been moving some tender plants outdoors gradually. First up is the lime (Citrus hystrix), who looks better than ever before coming out of winter indoors. Last fall it got a re-pot into a more free-draining mix, and, it’s been under an LED grow light all winter. It’s had a great winter, even flowering and fruiting! 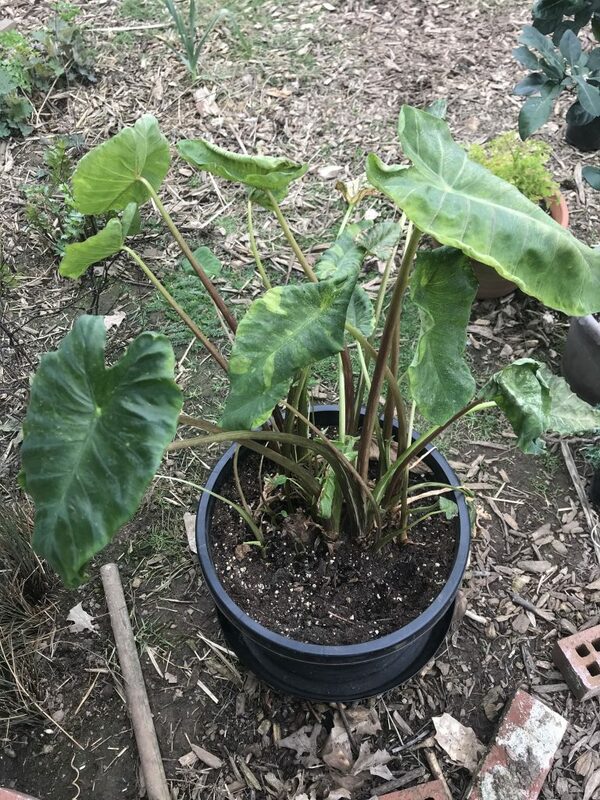 This Colocasia has actually been out here for maybe a week or so. It did not like the 33° dip we had a couple nights ago and I expect it will lose all these leaves. Just as well since they’re all small and etiolated. Two of four mature Pelargoniums. 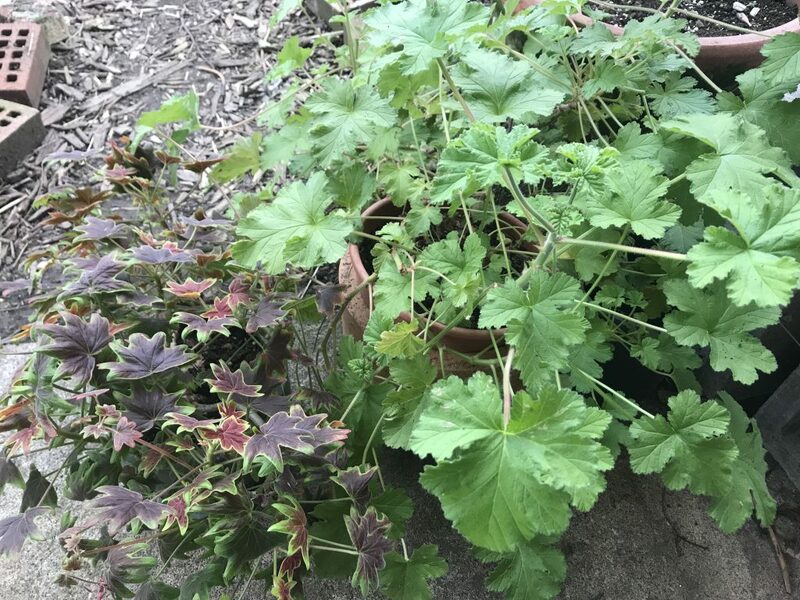 The green one is a rose geranium and the other is ‘Vancouver Centennial’ which might be my favorite – although the fragrance of the rose-scented one is to die for. 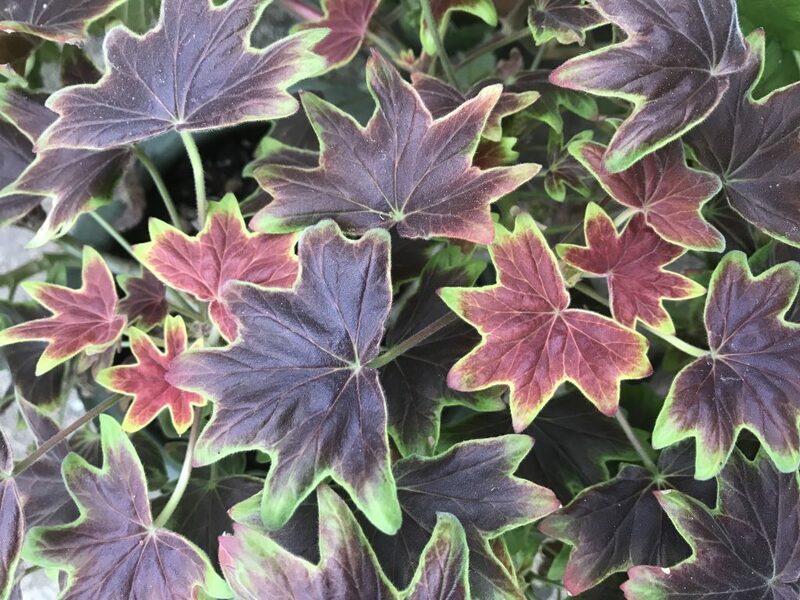 Look at this gorgeous foliage. The flowers are a bright carmine and just stunning against these leaves. Not pictured are a couple of Monsteras and other indoor subtropicals that I’m taking outdoors only during daytimes for now. Eventually I hope to give most of them summer vacations outdoors – at least, the hardier ones that can take cool summer nights. Lastly a flat of vegetables that one hardened off and need to get in the ground. I kind of love how these look. 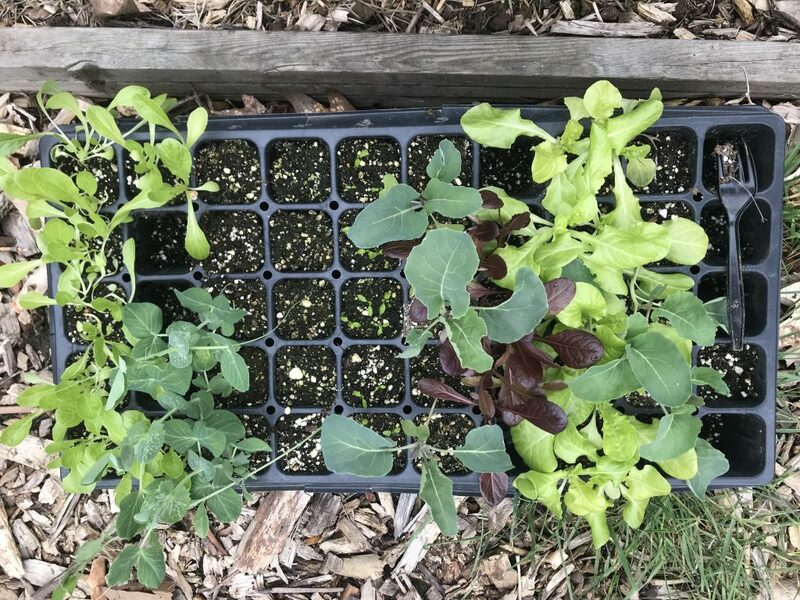 It’s three varieties of lettuce, spring cabbage (Quick Start), peas (Oregon Sugar Pod II), and the single sweet pea that actually germinated of the 10 or 12 seeds I sowed. Not sure what’s up with that but I tried again and set the tray outside so we’ll see. Apparently we’re in for a bit of a rainstorm with possibly significant wind. Some people actually put tinfoil over the tops of the pots and around the trunks of their citrus to avoid rainfall causing waterlogging but I’m lucky enough to have a bright covered patio so everyone goes under that if it’s pouring. What does “Wp Ap” mean? My guess is Airport. I like that data for 24 and 28 degrees is included. The link to the page this came from is in the comments below. Next up: last month’s visit to Little Prince nursery, then we’ll take a stroll around the garden and see what’s happening in the landscape. Wow. Good job on the lemon! And nice leaves on that Pelargonium. Is it safe to say we’re out of the 30 degree nights now? I sure hope so. This has been such a weird spring. Thanks! I’ve had that tree for 9 years now. 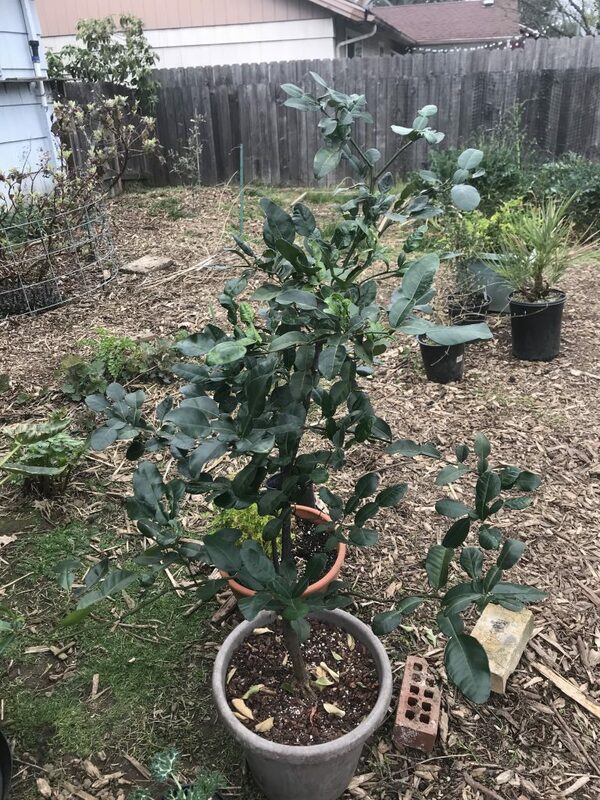 It has completely defoliated a few times over difficult winters, but I think I’m finally getting the hang of it. For last frost dates I use this thing: https://davesgarden.com/guides/freeze-frost-dates/index.php – enter zip code and voila. The closest weather station to me appears to be the airport, and I know I’m warmer down here than that. I’m going to add a screenshot from there to my post here in a minute.